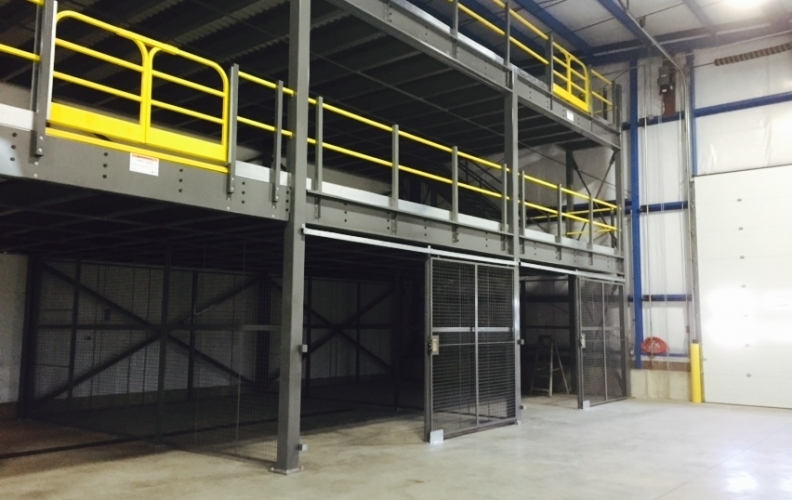 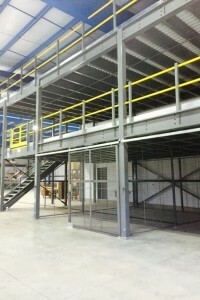 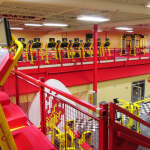 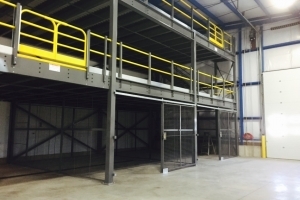 Civil Coatings and Construction Inc. originally contacted Grace Material Handling regarding a two level Cogan mezzanine structure to increase their space in their facility. 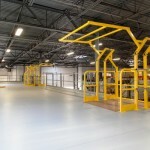 Upon production of their Cogan “double decker”, they immediately requested more information on securing their sensitive tools, equipment, etc. 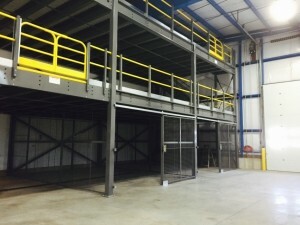 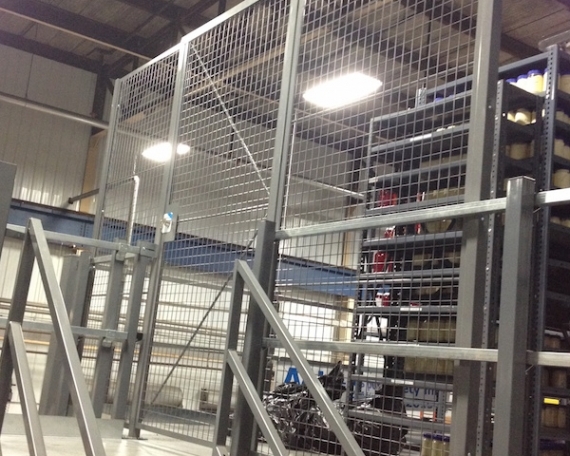 Grace Material Handling worked closely with Civil Coatings to secure the company’s belongings. 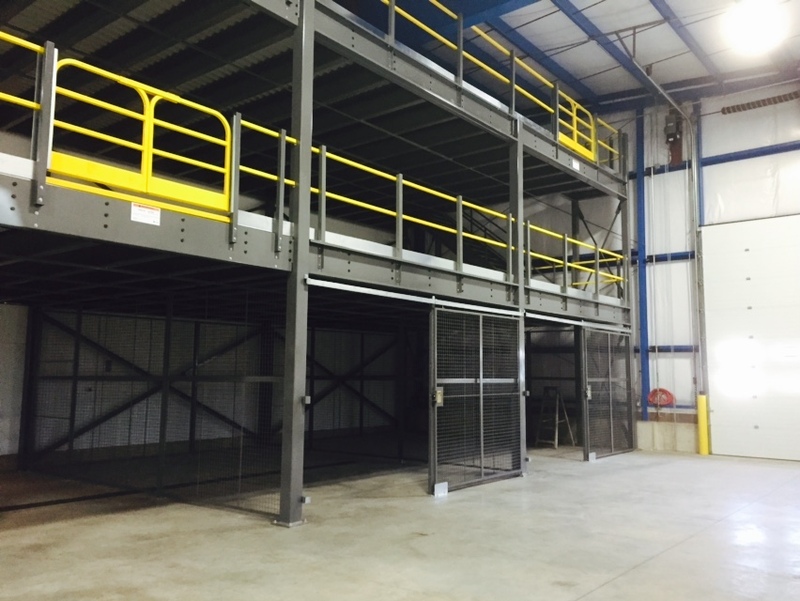 Grace Material Handling provided them with a 9’ high wire partition that was installed underneath their new Cogan mezzanine. 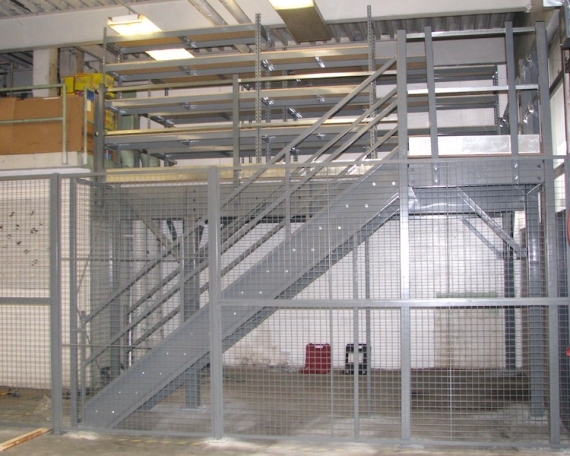 The two level Cogan mezzanines and their newly purchased wire partition doubled their space and guarded their valuable items.